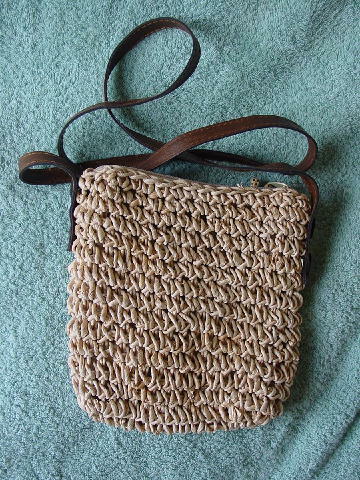 This woven straw purse has an open weave pattern and has a dark bone colored fabric lining with a zippered interior pocket. It has a top side to side zippered opening and a 49" long faux leather shoulder strap. 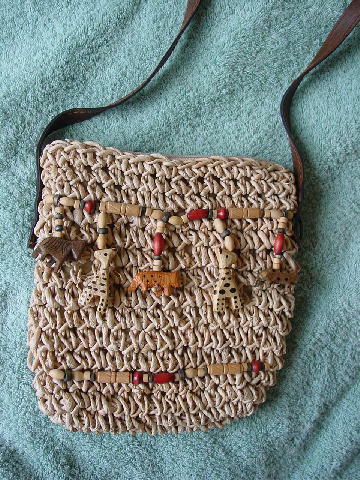 The front has 2 horizontal rows of wooden beads in natural, terracotta, bone, and gray-olive. The upper row has beads and 5 wooden animals dangling from it.